Unless you can palm a basketball you may not be able to use an iPhone single-handed. But sometimes one hand is all you can spare. If you find yourself in such a situation give Reachability a try. On a Touch ID–based iPhone, tap (don’t press) the Home button twice to slide the iPhone’s interface halfway down the physical screen bringing everything into reach of your thumb. On the Face ID–equipped iPhone X put your thumb in the bottom of the screen—about at the top edge of the Dock if you were on the Home screen—and swipe down. You can use apps normally for a tap or two and then they’ll expand back to the full screen to show the full interface. 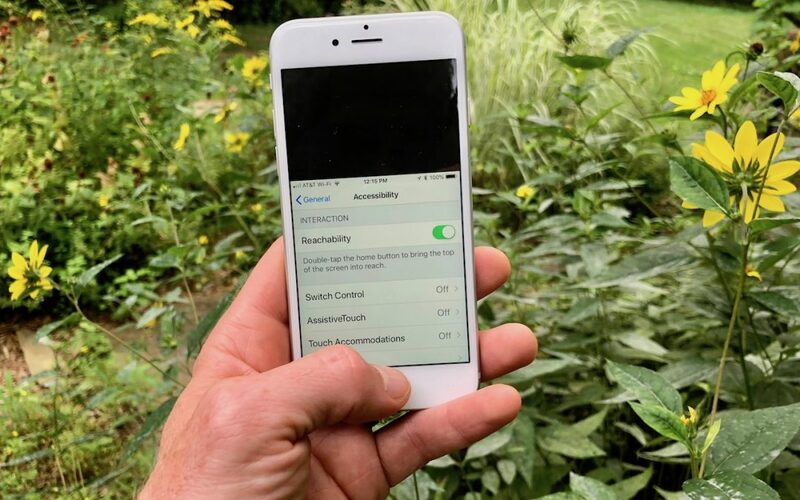 If Reachability is off (or if you want to turn it off), go to Settings > General > Accessibility.